In strategic context, nothing less than a large-scale ‘invasion’ to finish Hamas off and rid Gaza of a terrorist regime is going to ensure security for Israel. The hard facts speak for themselves: a deeply ideological terrorist organization which abuses its people and calls for the destruction of the nation of Israel and killing of all Jews everywhere doesn’t deserve to exist. Israeli concessions in exchange for a ceasefire that doesn’t work is a lot of baloney. Delegitimizing a weakened Hamas while at the same time pursuing negotiations for a ceasefire with a known terrorist group will only further strengthen Hamas’ grip on Gaza. There is no doubt that Israeli leaders feel justified in their actions in Gaza. Unfortunately, Israel was waging a military action against an adversary that was waging a political campaign and thus adopted the wrong tactics and measured progress by the wrong metrics. Continuing rocket fire and refusing a permanent and stable cease-fire will drag Gaza into a war that Hamas — not Israel, contrary to its perception — cannot endure. From Israel’s perspective, the primary focus of Gaza “incursion” code-named “Operation Protective Edge” was to destroy tunnel infrastructure, rocket and launching pads for missiles, but not to topple Hamas. Israeli Prime Minister Benjamin Netanyahu’s tactics of “hammering out to halt attrition” rather than heading straight for a clear-cut victory will not deter Hamas from attacking Israel. While a “limited ground strike in the first stage” continued to reach and demolish the sources of Hamas’s rocket and mortar attacks, it remains unclear whether the Netanyahu government’s tactic will work in the long term. In light of the successful targeted killings of senior Hamas military commanders using pinpointed military intelligence, an ultimatum should also be put in place for an “immediate, unconditional surrender” of Hamas, which is highly unlikely. Perhaps, it is about time for the Israel Defense Forces (IDF) to take out the fundamentalist Palestinian movement’s command and operation centers “without hesitancy or restraint” particularly those under Shifa hospital- a stronghold under which most of Hamas’ leadership has apparently been hiding. Given the ongoing proxy conflicts in the Middle East and existential threats endured for so long by the Jewish people, Israel’s survival in the past depended on strategic and tactical responses to multi-front conventional wars. However, since its founding in 1948, the main security threats to the state of Israel shifted from major multi-front conventional wars to asymmetric forms of warfare with Hamas in Gaza, Judea and Samaria (‘West Bank’), Hezbollah across the border in Lebanon, the mullah-led regime in Iran and the surging threat from Islamic State of Iraq and the Levant (ISIL), a new moniker for al Qaeda splinter terror groups. Overall, the inherent asymmetry and “lack of strategic depth” in a largely hostile, high-threat regional environment make Israel militarily vulnerable. And yet, despite a strong self-defense capability, Israel’s military strategies emphasized a combination of prevention, preemption, and deterrence as illustrated in the Six-Day War (1967), Lebanon conflicts and against Iraq’s Osirak reactor (1981) and Syria’s al-Kibar nuclear facility (2007) built with North Korean technology and assistance . In its counterterrorism application [against Hamas], the goal of deterrence is the same: identify vulnerable parts of an enemy’s chain of command, operational cells and support network, and take steps that would put them at risk to alter their behavior in your favor. If you can deter even one link in the chain of a terrorist network, you have an opportunity to halt the entire network. Adapting cold war deterrence against nihilistic goals of Hamas terrorism would seem unlikely if not impossible. “Hamas can be completely liquidated – without endangering IDF soldiers in a complicated ground entry and close-quarters urban warfare”. David’s appraisal of the dangers of a ground entry contrasted with the commander of the IAF special reconnaissance Flying Camel Squadron, who said that having to abort airstrikes due to civilian presence often “sabotaged” the operation. It has been argued that the hesitancy to wage all-out-war hascaused IDF deaths. In addition to secret technology and targeted assassinations of Hamas military wing commanders, Israel can rout Hamas through massive flooding of the underground city in Gaza, just exactly what Egypt has done to permanently destroy all smuggling tunnels near its border crossings between Egypt and Gaza. If Israel wants quiet for years to come it needs to unequivocally liquidate Iran’s proxy, Hamas at any cost. Otherwise, Israel’s inaction may be more dangerous for its long-term survival. Simply put, Israel will have to endure a very uncertain future or live under attrition. 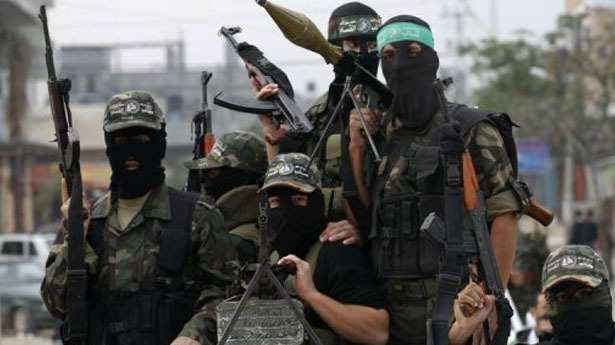 The recent attempts by Hamas to stage a coup against the Palestinian Authority which the IDF and Israel Security Agency (Shabak) foiled is irrefutable evidence that what happened in Gaza will happen in the ‘West Bank’.